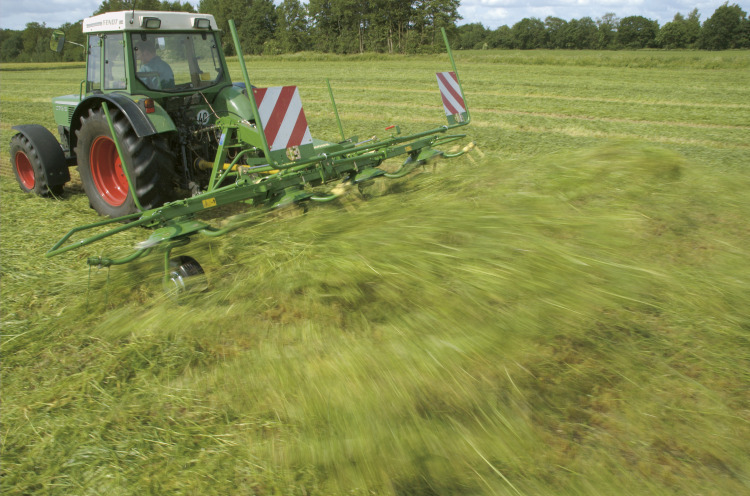 All Krone KW Trailed tedders feature OctoLink, Krone’s maintenance free and frictional 8 finger clutch. 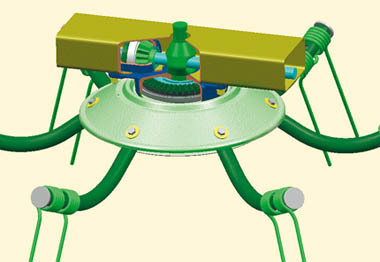 The Octolink clutch are always in mesh for full power and don’t require any greasing. 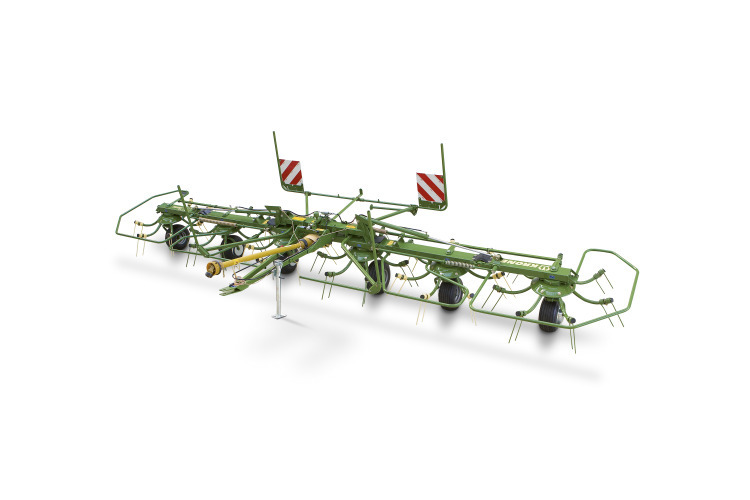 Krone Three Point Linkage tedders have a range of working widths of 4.6m’s to 11m’s. Krone’s OctoLink clutches are always in mesh for full power. 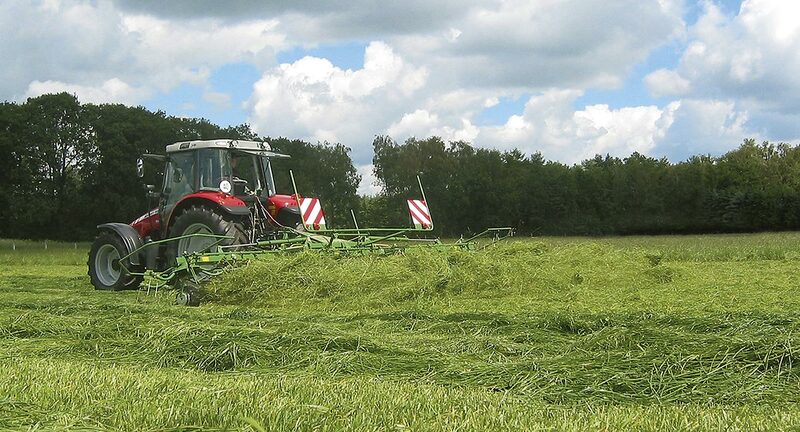 Greasing of these clutches is not required. 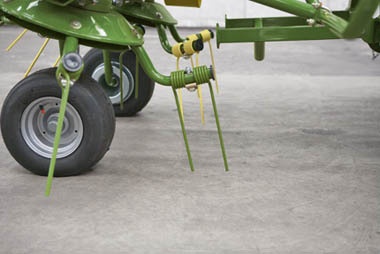 The two 9.5mm legs that form one pair of tines vary in length to provide the special Krone combing effect for optimum treatment and cleanest forage. 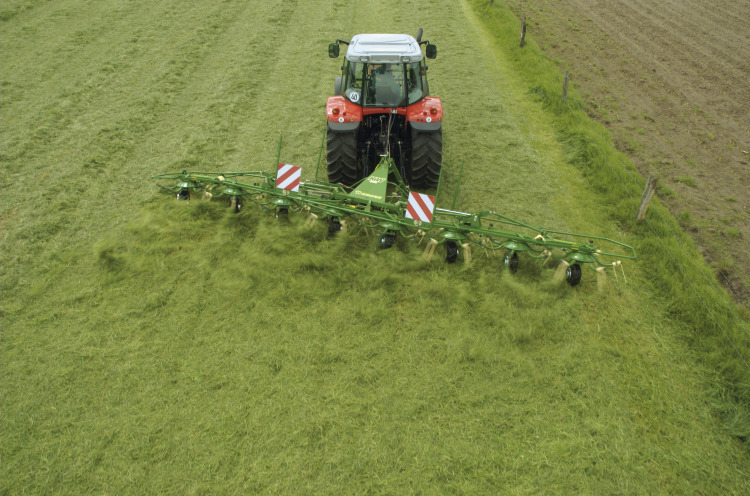 The rotors run on large wheels with inner tubes, which give excellent guidance for cleanest sweeps and dependable operation. 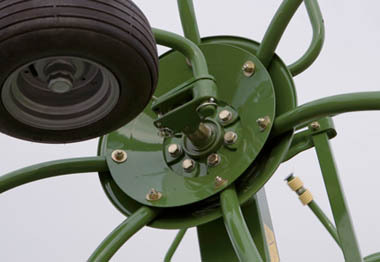 Quick hitch is standard on 3 Point Linkage models. Dampeners for an enhanced ride quality: The internal compression spring prevents underrunning when working downhill and the adjustable brake prevents bouncing.